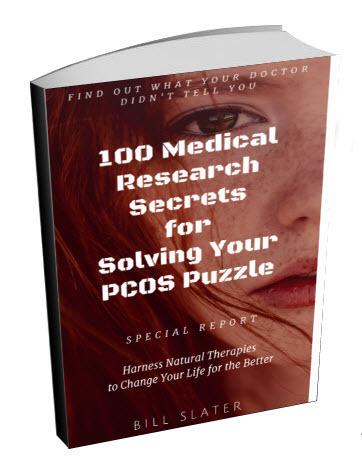 PCOS and Ovarian Pain - Suggestions? I had a baby on the 24th/09/2009. Everything thing went fine, no signs of anything. 6 weeks after I gave birth I had severe abdominal pain!! It put on the ground in tears and ended up being rushed to hospital. I sat in the waiting room for hours on end, once I was seen, the doctor did NOTHING but send me home. I went to my local GP many times yet he sent me away. After 6-7 months after having no period, I went to another doctor who referred me for blood tests and an ultrasound. 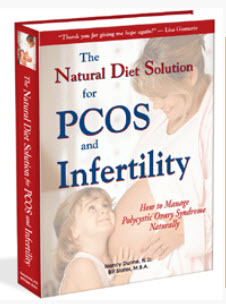 That day I was diagnosed with PCOS. The ultrasound showed 20+ cysts on my left ovaries and 15+ on the other. This left me feeling angry at the fact NO ONE DID NOTHING ABOUT IT! Now I'm on diaformin and still don't get my period. All I want is one more baby! Editor's comments: Hi Katie, if the doctor put you on metformin, then presumably you have a condition called "insulin resistance". That is what metformin is for. The existence of multiple ovarian cysts does not constitute a diagnosis of insulin resistance. If you do not have insulin resistance, then the metformin is not going to do much for you. 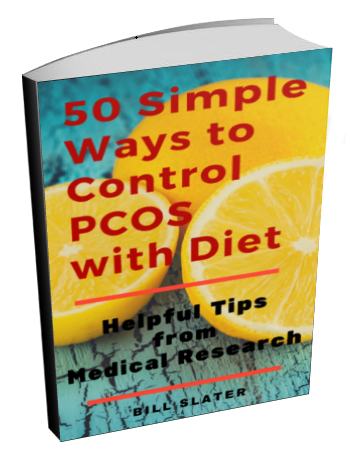 However, the majority of women who have PCOS also have insulin resistance. Regardless of whether you have insulin resistance or not, you can reduce ovarian cysts by making huge improvements to your diet. 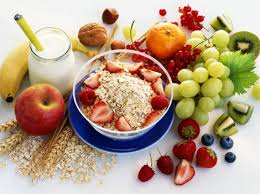 If you improve the quality of your diet, you will reduce insulin resistance, and your ovarian cysts should diminish. You will then be more likely to ovulate and have an opportunity to become pregnant. I don't have time to describe the diet you need. 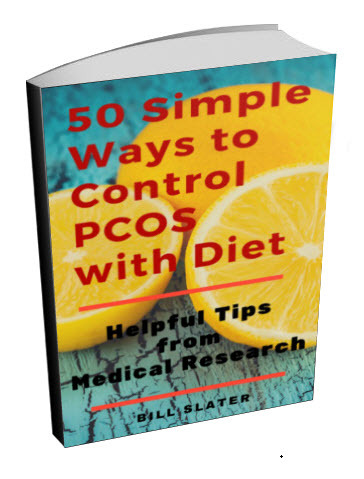 Get this PCOS diet ebook for the details. 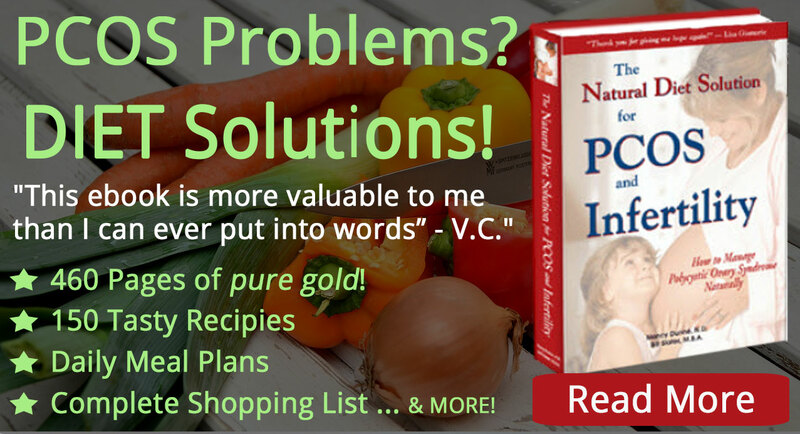 Yeah, the ebook has 500+ pages of information, and yeah the diet is not easy. But there is no "easy" way out of your situation. 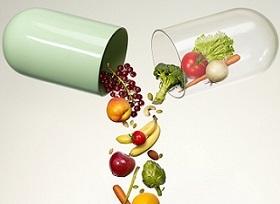 You'll need to greatly improve your diet -- and get more exercise. 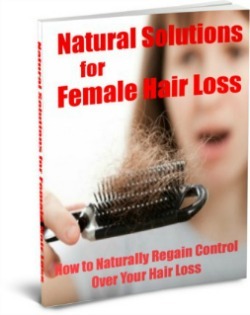 This is how you can get your hormones back into a more normal profile.